This is a truly unique and rare purchase opportunity! 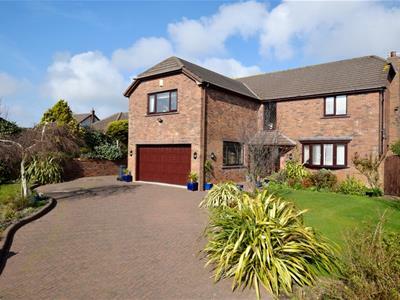 A substantial detached family home. Spacious rooms to both the ground floor and first floor. 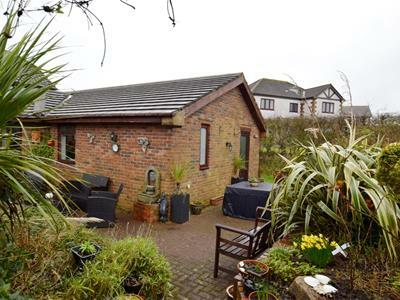 This house offers two great reception rooms, a modern kitchen, a pool! And pool room/ sun room overlooking the gardens and pool. To the first floor the two largest bedrooms have en-suite bathrooms. 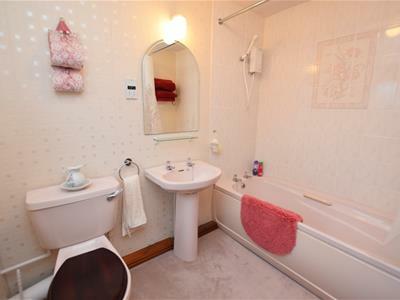 With a separate family bathroom suite also. 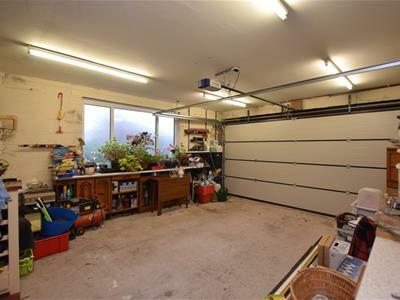 Bonus features include: detached workshop, integral double garage, indoor pool and extensive rear gardens. Must be viewed to be appreciated. 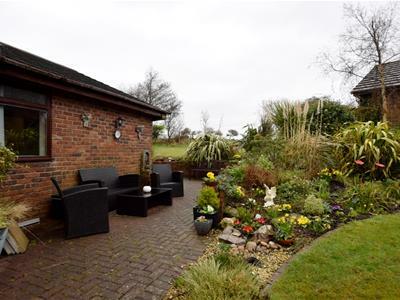 This is a substantial and well presented detached property. 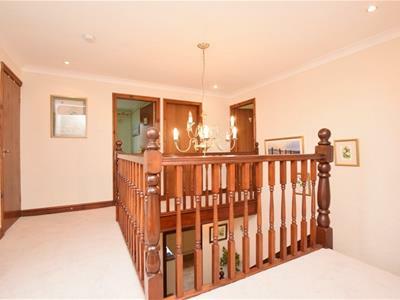 To the ground floor this property offers three large reception rooms, a large and elegant entrance hall, kitchen with space for a dining suite, and a swimming pool room. 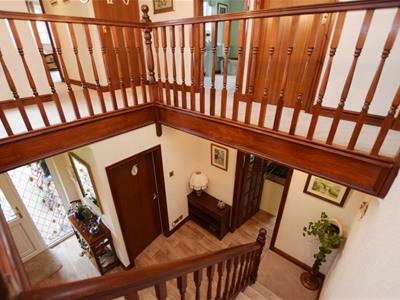 To the first floor this property comprises of four large double bedrooms with two en-suite bathrooms and one four piece family bathroom. 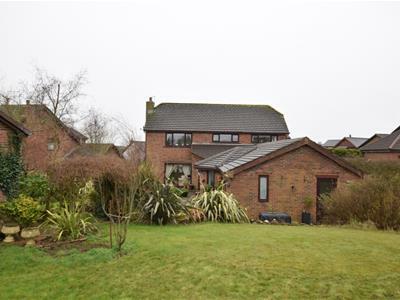 Externally this property has mature gardens to the front and rear, a driveway providing plenty of off road parking and access to the integral double garage and a detached workshop outbuilding. Extends to 4.10m with panel radiator, two double power points, mains smoke alarm and telephone point. The hallway provides access to the spindled stairs. With opaque double glazed windows. Fitted modern two piece suite . 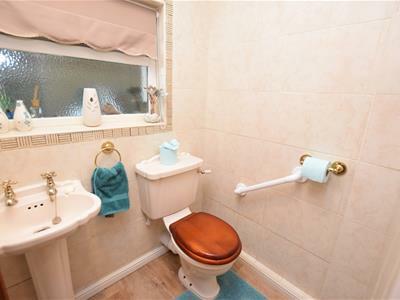 Low level WC and wood seat, wash hand basin with pedestal. UPVC double glazed window to the front aspect and UPVC patio door to the rear aspect. 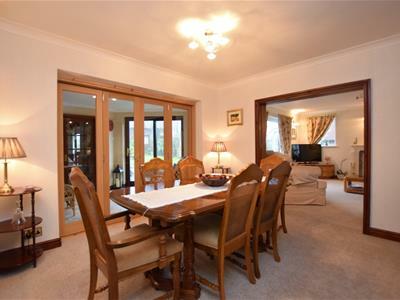 The central feature of this spacious room would be the brass fronted gas fire with marble hearth and mantle piece. Three wall lights, four doubled and three single power points. TV aerial and speaker point. There is ceiling height of 2.40m. Cream carpeting and wall paper for a neutral and bright feel. With French sliding doors to reception one. Wall light, three double and one single power points. Cream carpet and cream wallpaper. Currently used as a dining room this is a welcoming space overlooking both the gardens and the lounge. With UPVC double glazed window with opening panes - faces the front aspect overlooking the front gardens and the driveway. 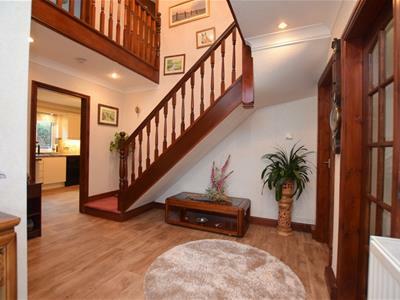 Just off the lounge, a great space for an office tucked away in a quiet corner of the property. 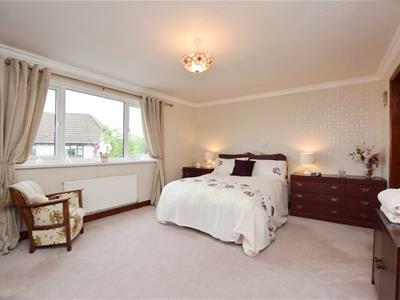 Light and neutral decor with cream walls and beige carpets. With UPVC mahogany shaded, double glazed patio door and window. Four double power points, telephone point and TV aerial. Beautiful views over the gardens. 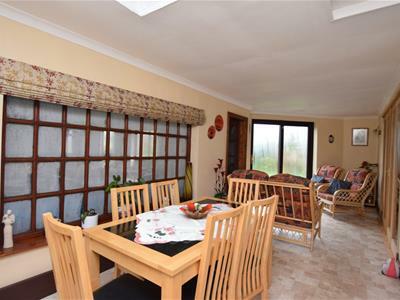 With three double glazed windows, patio door that looks out over the garden offering the room plenty of light as well as internal windows that look out over the pool. The room has four central heating radiators. Light and neutral decor with cream painted walls and tile effect linoleum floor coverings. Three piece suite, wash basin with pedestal sink. Low level flush WC and thermostatic shower. With UPVC double glazed door with opaque double glazed pane. UPVC double glazed window to the side aspect. 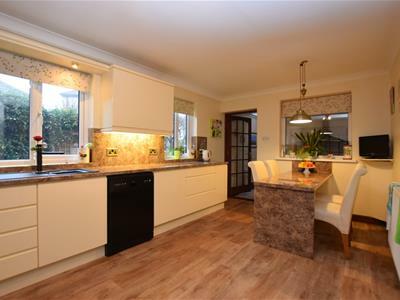 The kitchen has been fitted with a good range of modern and attractive high gloss cream base and wall units with integral handles, soft close doors, pelmet lighting and cornice. Granite pattern work surface, composite sink unit with mixer tap and inset drainer. Splash back matching the work surface. 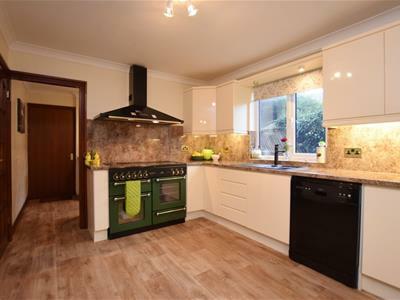 Fitted appliances to be included in the sale - Steel canopy extractor hood with fan and light. Rangemaster dual fuel cooker with five ring gas hob. Kenwood full size dishwasher and integrated fridge. Panel radiator with thermostat, telephone point, TV aerial and extractor fan. Integral dining table with matching surface. UPVC double glazed door to the side aspect. Work surfaces, six double power points. Built in cupboards. Recess and plumbing for washing machine. UPVC double glazed opaque window to the front aspect. One double power point, telephone point and TV aerial . Walk in cupboard of 1.90m with electric radiator. 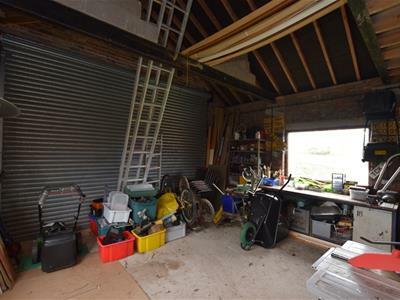 The loft is accessed via a drop down ladder, from the first floor landing with electric light and power point. Eaves storage and part boarding. 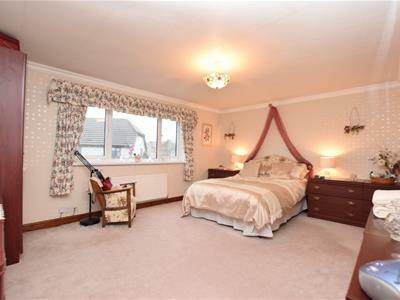 A spacious room, with plenty of light coming through the three UPVC double glazed windows at the front elevation. Panel radiator with thermostat, four double power points, telephone point and TV aerial. 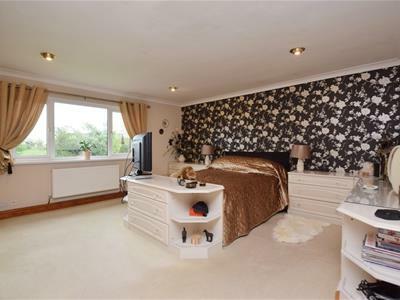 Decor of a feature black and silver wallpaper with the rest of the room having cream painted walls and beige carpets. Spot lights to the ceiling and built in wardrobes offering plenty of storage. 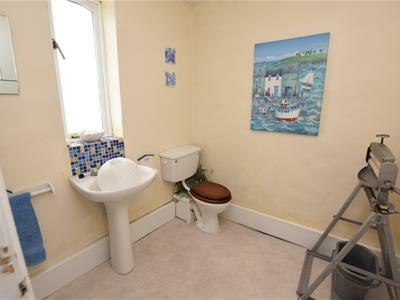 A sizable en-suite with a corner bath, a shower, vanity sink basin and wc. 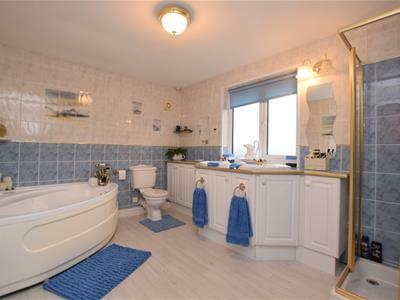 Fully tiled walls with blue and white tiles separated by gold detailing. 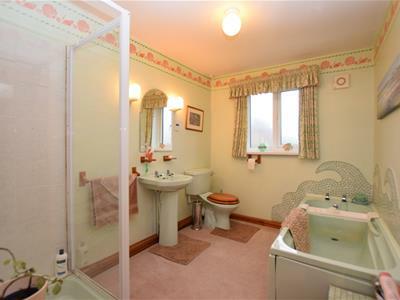 The bathroom has cream carpets. 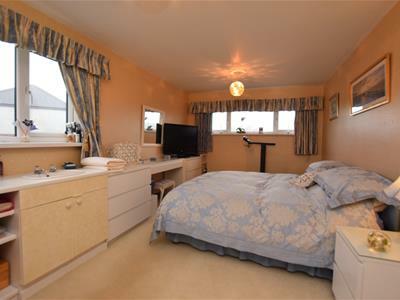 Another spacious room with a single radiator and thermostat, four double power points, telephone point and TV aerial. 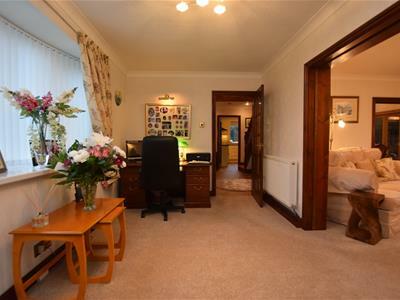 This room has neutral decor again with beige wallpaper and cream walls also with cream carpets. 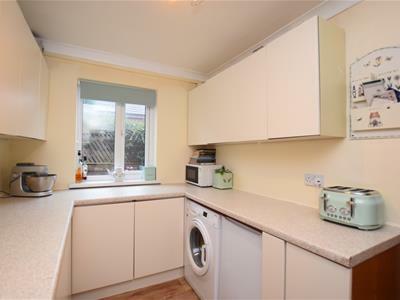 With UPVC opaque double glazed window to the side and rear with excellent outlooks. Double radiator with thermostat, four double power point, telephone point. Décor of cream carpets and cream wallpaper. 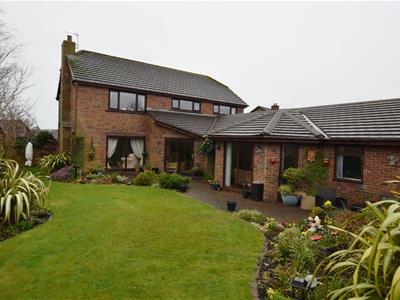 Dual aspect double glazed windows to the side and rear aspect overlooking the beautiful gardens. Double radiator panel, with thermostat, four double power points and a telephone point. 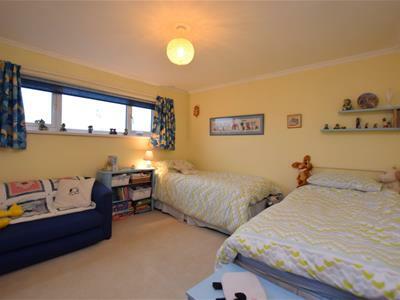 Another fabulous double room with tonnes of natural light. Warm orange/ peach painted walls and cream carpets. Double radiator with thermostat, three double power points, telephone point and TV aerial. Décor of pastel yellow painted walls with matching carpet. With UPVC double glazed windows, opening pane - faces the side elevation. Fitted traditional four piece suite in white. Low level jacuzzi bath with handles, marching side panels. traditional mixer tap. Low level flush WC , twin wash basin. Shower cubicle with electric shower. Full tiling. Extractor fan and shaver point. Shelving space. Integral electric roller door with internal door, opaque double glazed window to the side. Electric light and power. Side/external UPVC door. Both boilers are gas Glow Worm - for the property and the swimming pool. High level aluminium roller shutter door. Electric and isolater, light and power, vaulted and inclined ceiling. The open fields to the rear are subject to a residential planning permission. To the rear there are beautiful gardens, landscaped with trees, bushes and flowers. Lawned with a patio area perfect for sitting out in the summer. The garden is wrap around and can be seen from the majority of the rooms in the property including the lounge and pool room.